We all grew up in an environment where we believed the support for research to be constant or increasing. 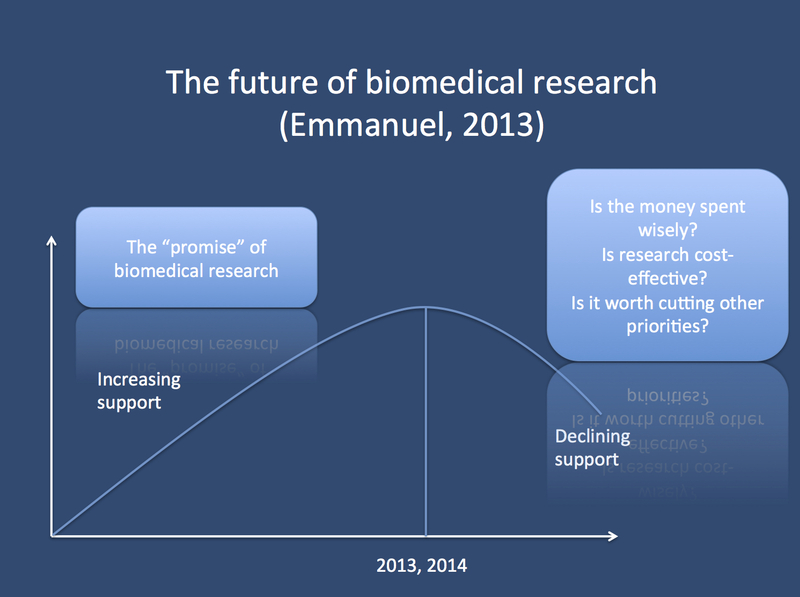 In his recent commentary, Emmanuel points out that there might actually be a decreasing support for research in the future, alongside with expected budget cuts. Even if the overall political framework for science is probably more positive in the EU, we will need to be prepared to answer questions regarding the cost-effectiveness of what we are doing.